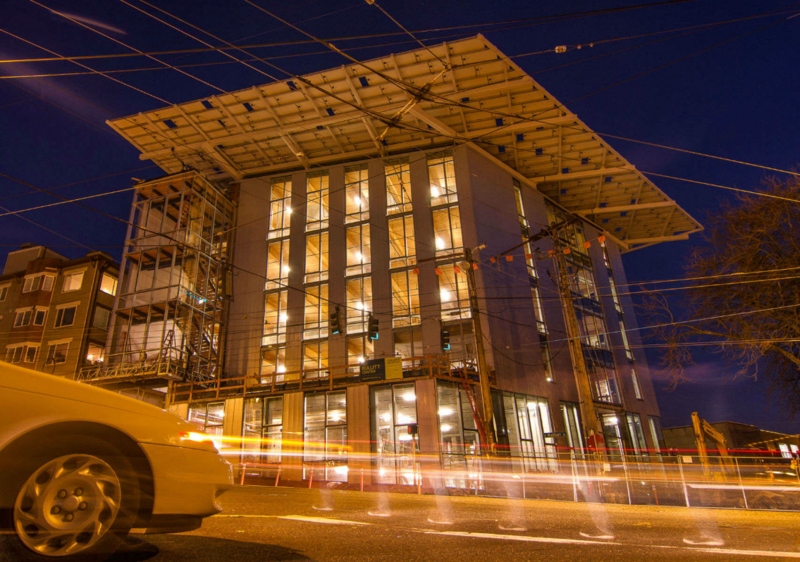 When Bullitt Foundation President and CEO Denis Hayes was ready to build his new headquarters, he set some very challenging goals. 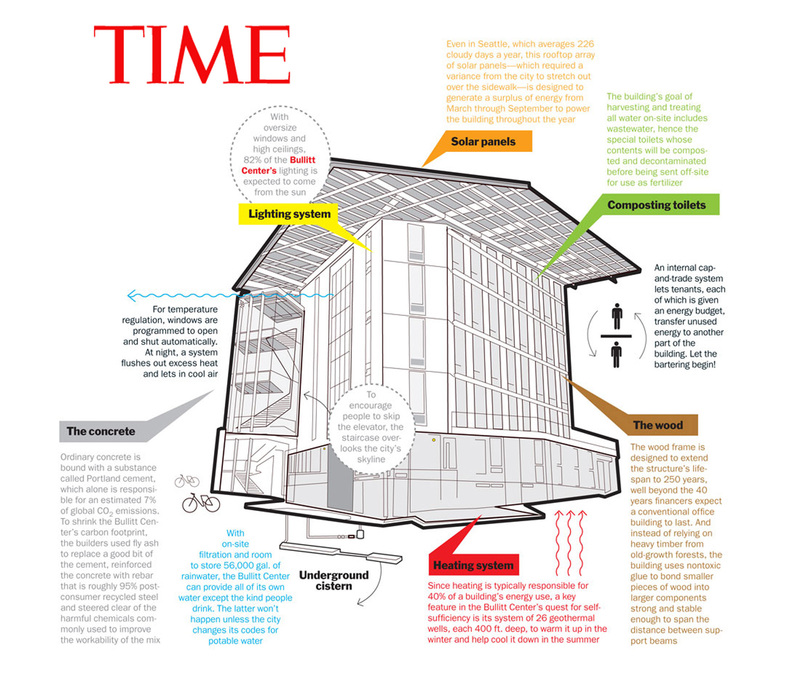 The six-story facility was to be Zero-Net-Energy and also meet all the requirements of the Living Building Challenge-a holistic set of restorative design criteria developed by the International Living Futures Institute that’s far more demanding than LEED Platinum. To qualify, a building must produce all of its own energy, harvest all of its own water, discharge nothing off-site, and meet strict material specifications along with requirements on Health, Equity, and Beauty. The Foundation retained SDA to help them achieve these goals. 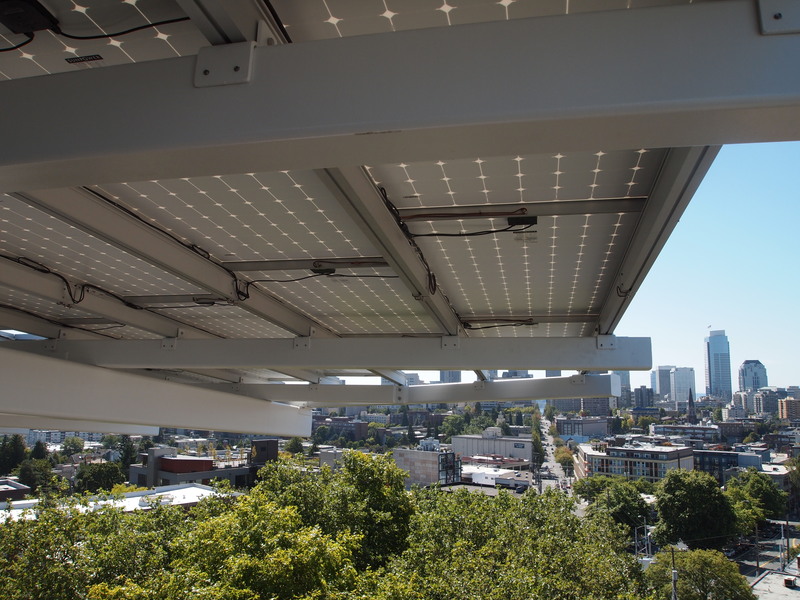 SDA worked with Seattle architects Miller & Hull and the their consulting engineers to define the energy requirements and the solar harvest potential. 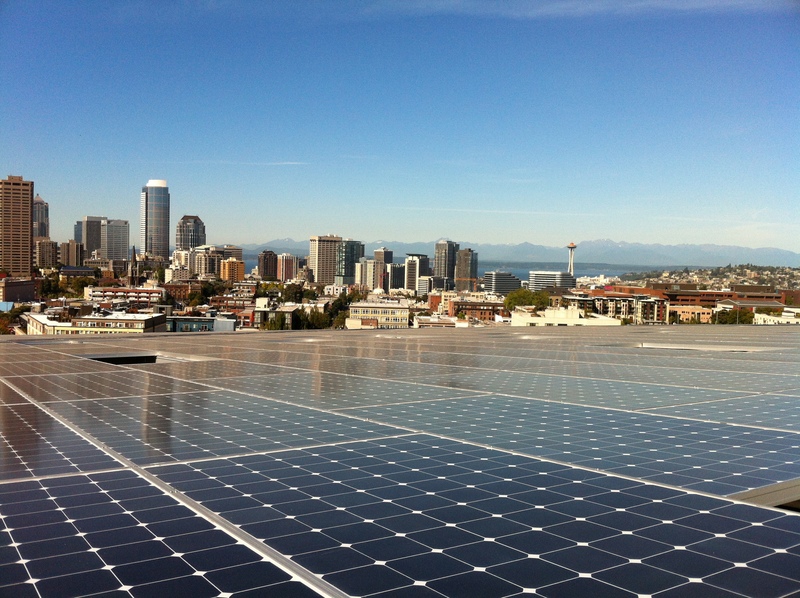 Since the facility is located in photon-deprived Seattle, available sunlight was the major design driver. 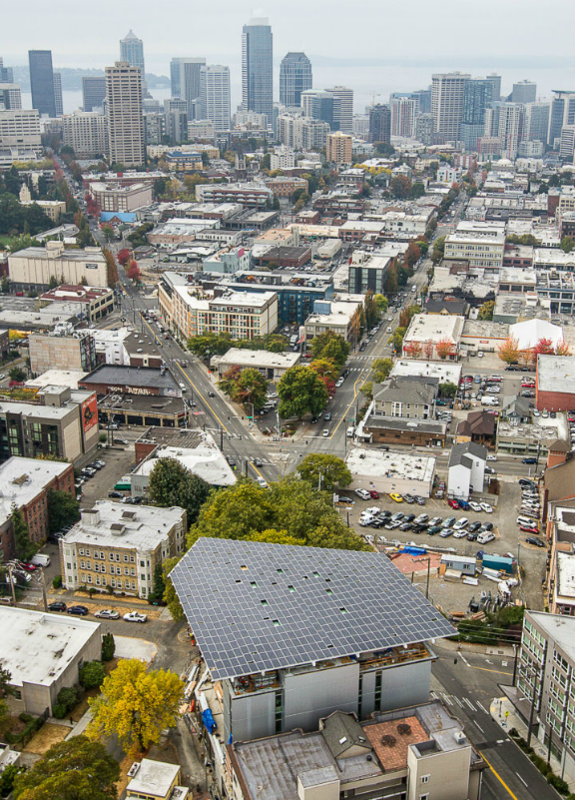 After working with the design team to balance the energy equation–reducing loads to the lowest achievable level–SDA concluded additional roof area was still necessary to deliver sufficient solar harvest and proposed the solar array be cantilevered out over the public space on three sides surrounding the facility. SDA provided full solar design and engineering, complete construction documents, procurement assistance, liaison with code and utility officials, construction oversight, and full system commissioning. 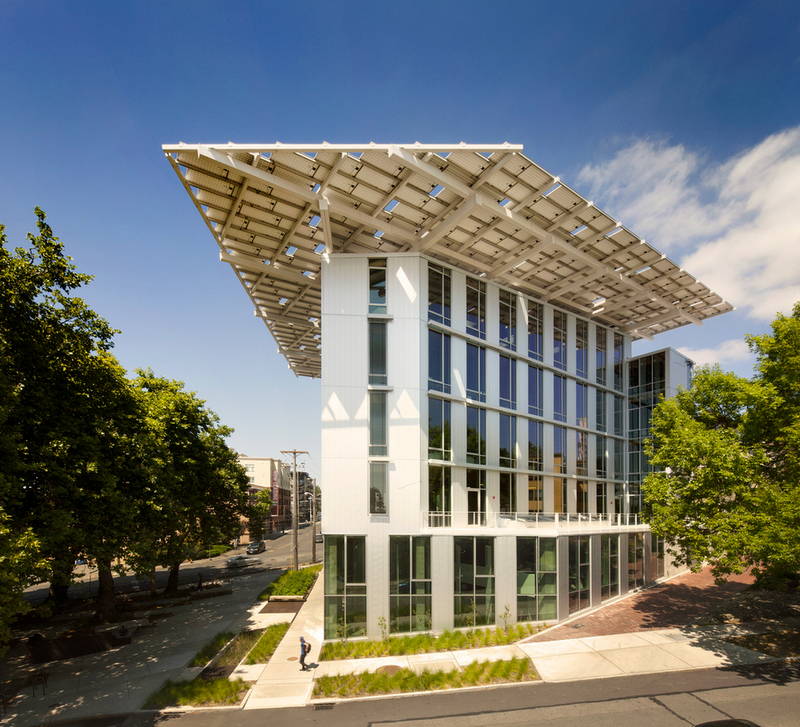 The New York Times declared the Bullitt Center to be “The greenest and most efficient office building in the world.” Take a video tour narrated by the client.